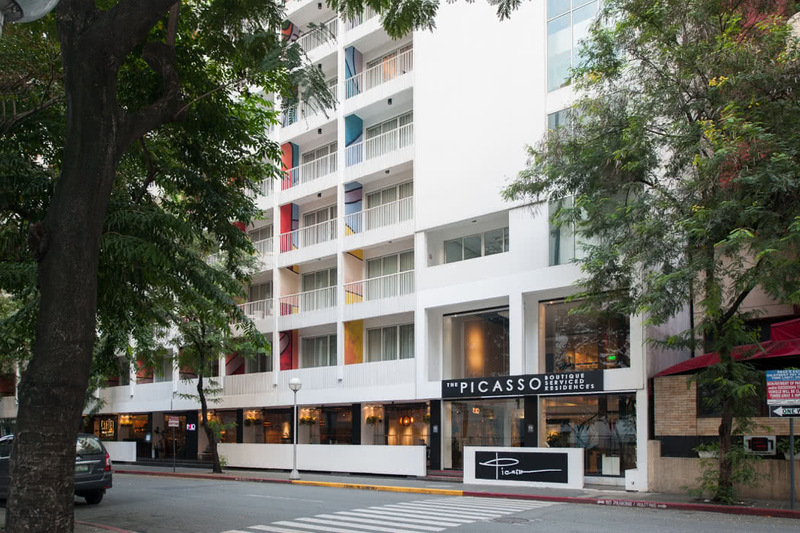 Art-inspired luxury hotels are a particular weakness of mine and so I was delighted to stumble across The Picasso Boutique Serviced Residences in Makati City, Philippines recently. 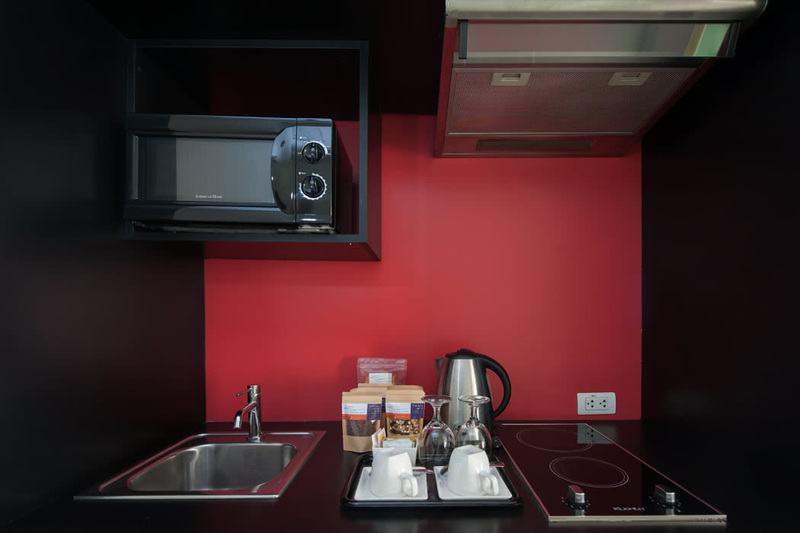 The hotel is located right in the heart of the Central Business District of Makati City in the Philippines. Makati is a city in the Philippines’ Metro Manila region known for its stunning skyscrapers and fabulous shopping malls. It’s a cosmopolitan dream with a creative soul; browse trendy galleries and enjoy the vibrant indie music scene. 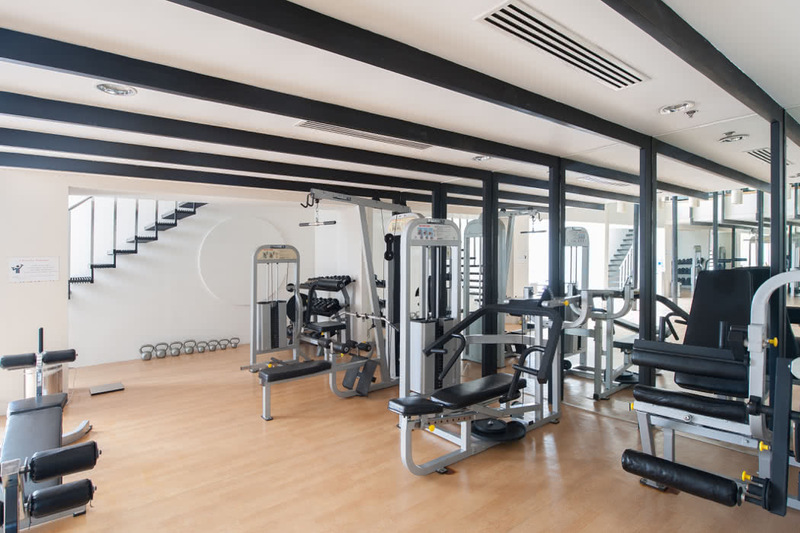 The hotel is the ideal location in the throng of the action to explore; you are located just a 2 minute walk from Salcedo Saturday Market, a 15-minute walk to Ayala Museum and a free shuttle service is laid on to Ayala Mall. A simple glance at the hotel’s Instagram tells you all you need to know about this ultra-stylish boutique hotel. Inspired by its namesake, the arts are passionately important here (the exterior features abstract cubist art and even the keycard is a work of art!) and the displayed artwork is complemented by a slick, minimalist, very contemporary interior design with chic flashes of colour. 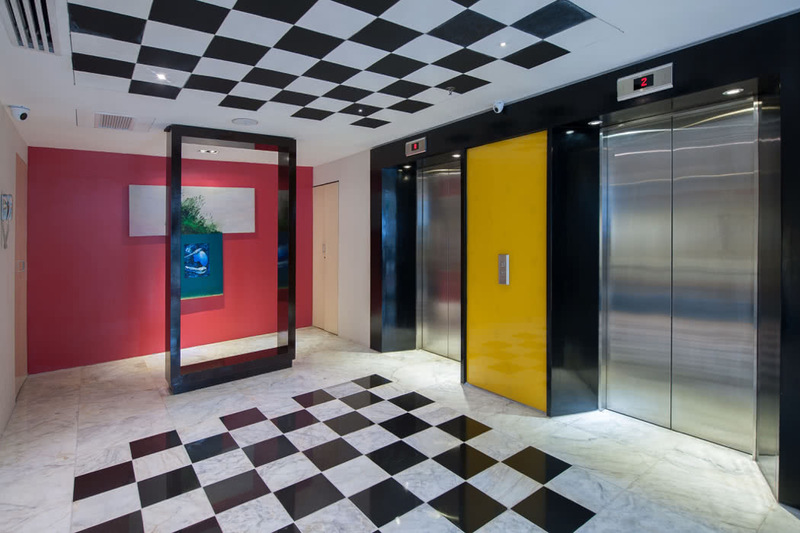 Delightfully, the hotel has its own edgy art gallery; the Altro Mondo Gallery which also displays an awe-inspiring selection of artwork around the hotel. 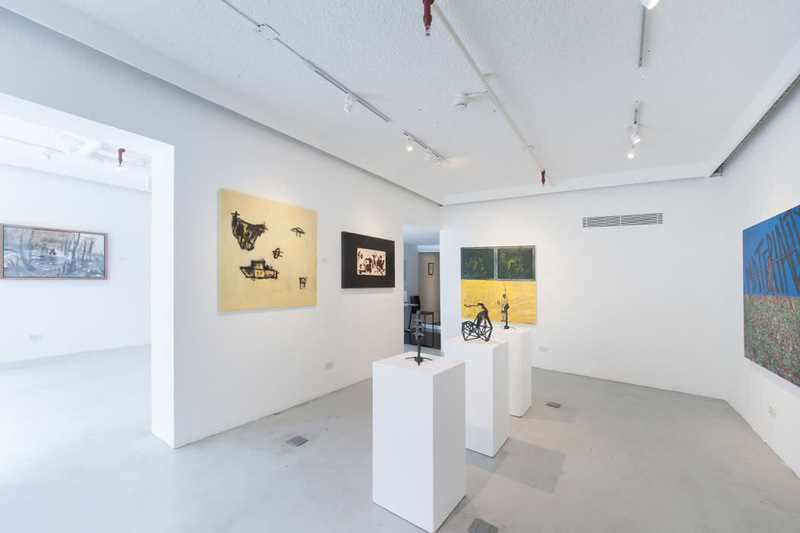 The gallery shows monthly exhibitions by emerging local and International artists, as well as work by more established Filipino artists. 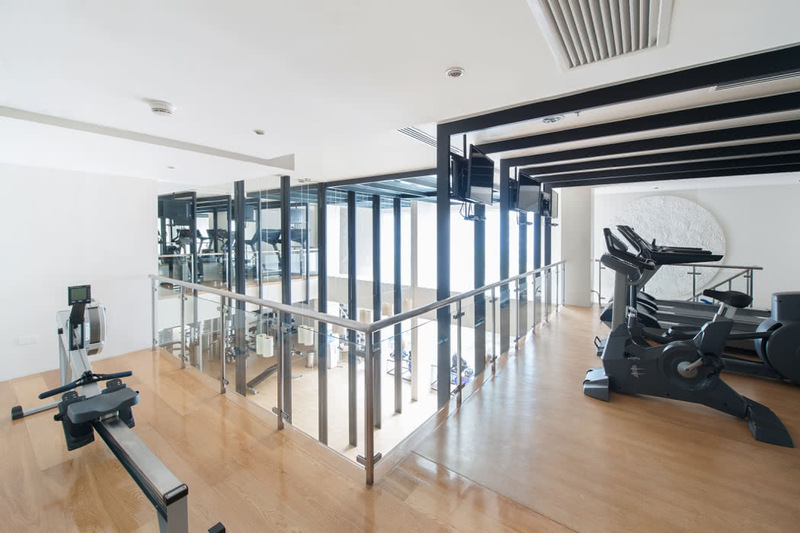 To keep in shape, there’s a fully equipped bi-level loft gym on the fifth and sixth floors. To look your best, head to the hair and beauty salon, Studio 119 for some pampering, or to really indulge, QiWellness offer a holistic approach to wellness that couples modern therapy with centuries old Oriental healing techniques; bliss basically. There’s also numerous meeting and event spaces if your trip involves at least a degree of business. The customer service here is world class; they welcome you with open arms and are professional and accommodating. 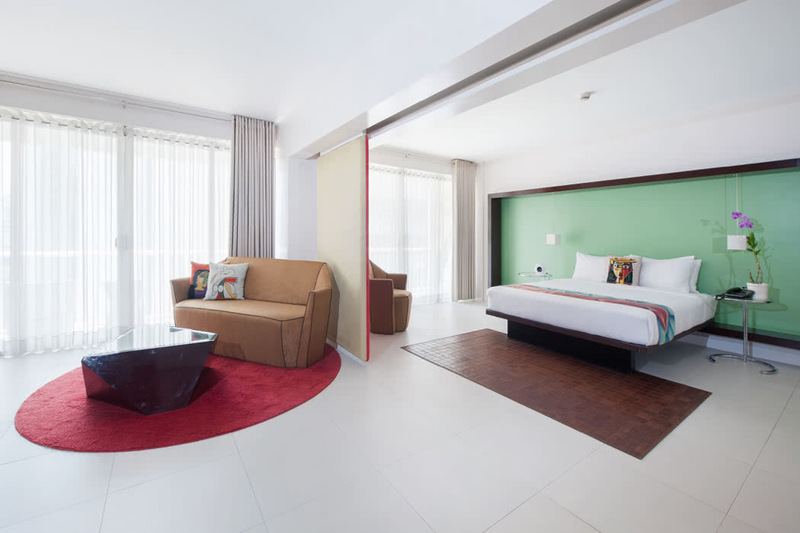 All the contemporary, colourful rooms and suites include kitchenettes, rain showers and techie extras such as a Bluetooth clock radio and smart TV. There are the Malaga Studios and the Mallorca Adjoining Rooms, which are great for families, but the Suites are definitely to be recommended. 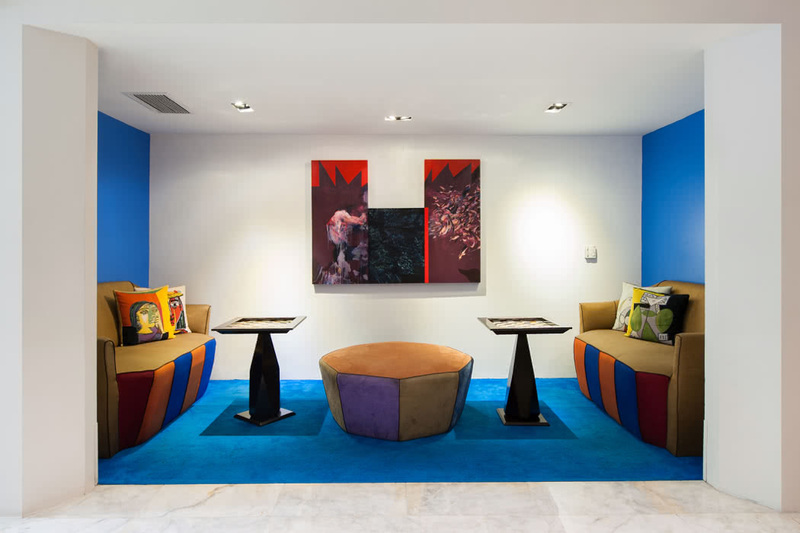 All the Suites celebrate an element of Picasso’s life and are sensitively themed and artfully furnished. The Barcelona Suite was my favourite with its stunning mint green colour behind the bed, separate living room and double-bay balconies but it’s definitely personal taste. If budget allows and if you’re going to be entertaining, consider the Picasso Loft; ultra-private with two beautiful floors it includes a spacious living and dining area, kitchenette, minibar and powder room. Food is celebrated almost as much as the arts here. 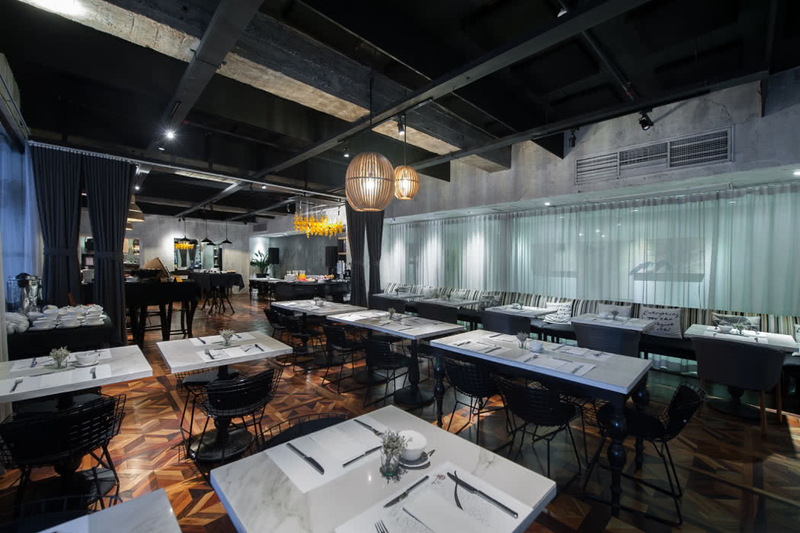 Pablo Bistro serves global gourmet gastronomy inspired by the Mediterranean but with a quintessential Filipino twist in a stunning urban setting. The infamous The Cartel Deli has a reputation as one of the best cafes in the area; breakfast here is divine; don’t miss the chorizo fried eggs!